Provide comfort for the family of Estelito Custodio with a meaningful gesture of sympathy. 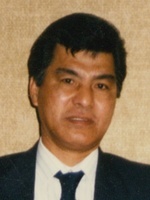 Estelito “Chito” Custodio was a devoted husband, father, grandfather, and great grandfather. 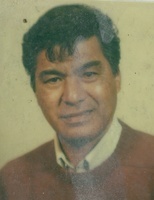 He is predeceased by his wife Virginia, daughter Yolanda, and granddaughter Angelic. He is survived by his children Rodolfo (Phen), Rhodora, Rogelio (Jhen), Romeo, and Estelito Jr., and grandchildren Mark, Christina, Jenny, Chelzy, Christopher, Crysta, Andray, Chance, and Russell. He always had love for dogs and enjoyed gardening, going for walks, bike rides, cooking, etc. He did not have a bad bone in his body. Anyone who knew Chito would say he was the kindest, most humble man. He was always there for anyone no matter what. There are many words that can be used to describe how great he was. He will be missed deeply. To send flowers in memory of Estelito De Leon Custodio, please visit our Heartfelt Sympathies Store. We encourage you to share your most beloved memories of Estelito here, so that the family and other loved ones can always see it. You can upload cherished photographs, or share your favorite stories, and can even comment on those shared by others.